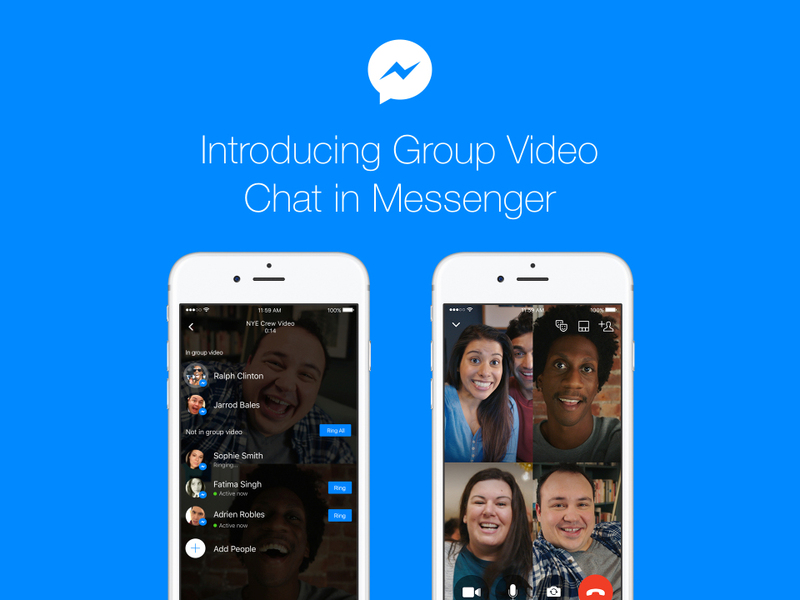 Seems Facebook is releasing an update to the Messenger App to allow for Group Video Chats in Facebook Messenger. According to a post in the Facebook Newsroom, the Group Video Chat will be “super easy to use”, and will allow up to 6 people at the same time to chat with video. For those with larger groups than 6, there is an option where up to 50 friends can join in a chat via audio (of which 6 of the 50 can be on video). So starting today, the group video chat is rolling out for those on Android, iOS, and for the desktop version of FB Messenger, worldwide.